How do I export/download/print as a PDF? 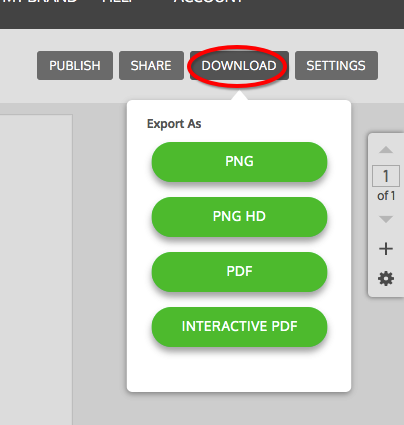 When you are ready to export your work as a PDF file, click on the download button located in the top right corner. 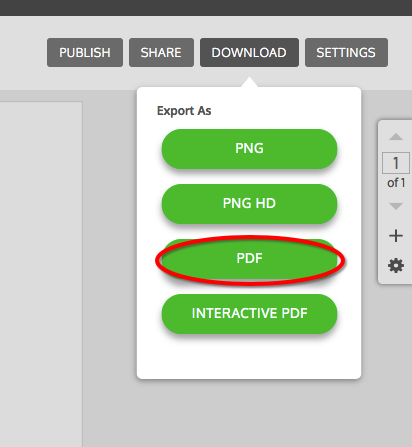 When the menu drops down, click on the PDF button to download.